You would think that the owner with a funny red cap on the cover is a little cocky. WTB! What the (reindeer) Buck! This man is probably more concerned about his ego than providing us with good service. But before you leave, there is one thing you should know. The Thon Hotel in Kautokeino was established by one of the most successful business men in Norway. Mr. Olav Thon has built a viable organization providing a superior experience for its customers. A few years ago the hotel in Kautokeino burnt down to the grown. Sitting on top of Kautokeino, it was truly a visible loss to the town. 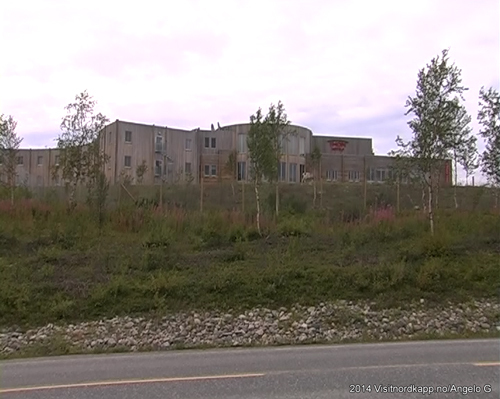 For a number of years the heart of Sapmi didn’t have hotel accommodation in its midst. The rescue man was Mr. Thon. He is possibly the only man in the country with the means for a long-term development of tourism in Kautokeino. It is the only hotel franchise in Finnmark doing the dirty work, taking the stick and having a genuine social responsibility program. In order to attract travel parties you need to offer activities. Soft adventures are not the most profitable business you can get involved in. 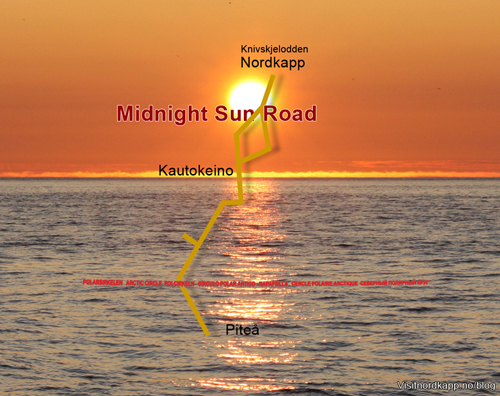 Thon Hotel Kautokeino has invested a great deal in such adventures. The ATVs outside the hotel when we were there are owned by the hotel. So are the snowmobiles in the winter. In the winter the hotel also offers Ice Adventures – movie theatre outdoors. Exciting? You bet! You don’t have watch “Rosemary’s Baby” to get goose bumps in below 40 degrees. And, they have hands on reindeers. I have been at the hotel several times. I met one of my football heroes, Mr. Robbie Fowler, in an event Liverbirds Kautokeino staged at the hotel in May 2014. Mr. Fowler got his own joik, and he became a reindeer owner. Fenced in at the hotel are some reindeer. 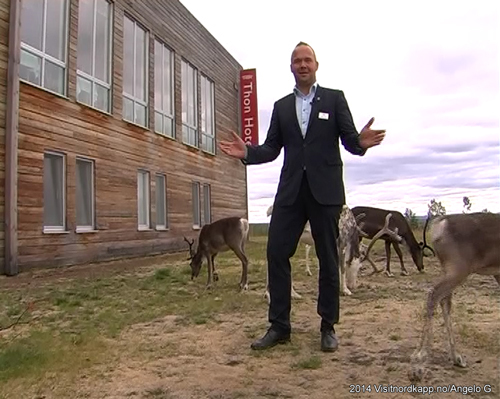 Angelo and I were given a chance to pet some reindeers by the director Mr. Bjørn Arvid Hætta on our Diamonds of the Arctic Tour in August 2014. In the director’s cut of the film clip to be released there is a funny moment in our close encounter with the reindeer. Did I buy the autobiography? Yes, and the key business lesson in the book is to show up, early. Another lesson by Mr. Thon was from a personal appearance at an industry meeting at the hotel I attended a few years ago. The chair was babbling away in his introduction. In a funny way, Mr. Thon cut him short, and urged the man to get on with it. Don’t worry about the autobiography, just book your room! Fly Polar – Helgeturer i nord!